That much Bach's instrumental music lay ignored and had to be re-discovered means that performing traditions have been re-forming round it, giving performers a wide range of options. This quick survey of some recent Bach discs gives a flavour of the possibilities with Bach on the harpsichord, the piano and the grand organ of Notre Dame, as well as the violin. So Mikhail Pochekin plays Bach's unaccompanied violin sonatas and partitas on a modern violin which is sufficiently far from its Baroque predecessor as to seem a different instrument, whilst with Bach's Well-Tempered Clavier we have the choice of both piano and harpsichord, yet with the latter Baroque instrument comes another choice, which tuning to use? 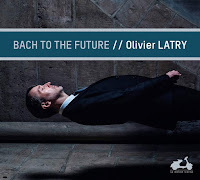 Finally, an organ disc which presents Bach in a manner which seems anachronistic, playing the organ works on the Cavaille-Coll instrument at Notre Dame de Paris, yet organist Olivier Latry is simply tapping into another tradition which started in the 19th century. 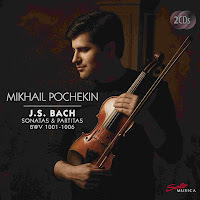 Violinist Mikhail Pochekin has recorded Bach's complete Sonatas & Partitas for unaccompanied violin BWV 1001-1006 on the Solo Musica label. Pochekin comes securely from the middle of the Russian violin tradition, his father is a well-known violin maker and his mother a violin teacher, and like most violinists he has been playing the Bach unaccompanied violin works since his teens. Thus he has his own tradition of playing them, influenced by his teachers and as he rightly comments in the booklet notes (there is an interview with him), the recording will simply be a snapshot but at 29 he has clearly waited a bit before recording the works. He has an elegant sound with a fine sense of line and lovely depth to it. He is playing from Bach's original manuscript, and as such this leaves space for Pochekin himself to translate Bach's notes into a modern violin technique. There is no doubt that he plays with a contemporary violin technique, but he does not push the music into Romantic territory, this is playing which pays intelligent respect to Bach's original. There is also something rather graceful about his playing, even in a movement like the mammoth Chaconne from Partita no. 2, yet this is combined with an expressively well nourished tone which makes you want to listen. With Bach's The Well-Tempered Clavier, we have a wide range of possibilities for performance and historically informed ones might include both clavichord and harpsichord, and there is an argument for some of the pieces being suitable for organ. Not to mention the modern piano, and if you do choose the piano what sort of technique? Do you go hard-core, forego pedal and try to evoke a harpsichord, or do you go the full Busoni? 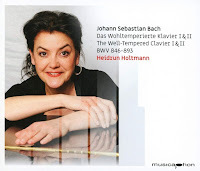 Bach's complete preludes and fugues from The Well-Tempered Clavier have been recorded on the Musicaphon label by the German pianist Heidrun Holtmann whose discography ranges from Mozart and Beethoven, through Schumann and Chopin to contemporary music. She brings great pianistic intelligence to the pieces, playing with clarity and affection. Her tempos are generally lively and fluent, with a nice dexterity in the fingerwork which brings out the individuality of the notes without quite veering towards the stylised effect that some pianists go for. The faster movements have a nice crisp separation of the notes. The slower ones show an intelligent use of pianistic legato, and some of the darker keys bring out a nice intensity in her playing. Similarly, the pedal is used discreetly. What I very much liked was the sense of very different character that she finds in each piece, rather than being dogmatic she uses an array of different pianistic techniques depending on context. 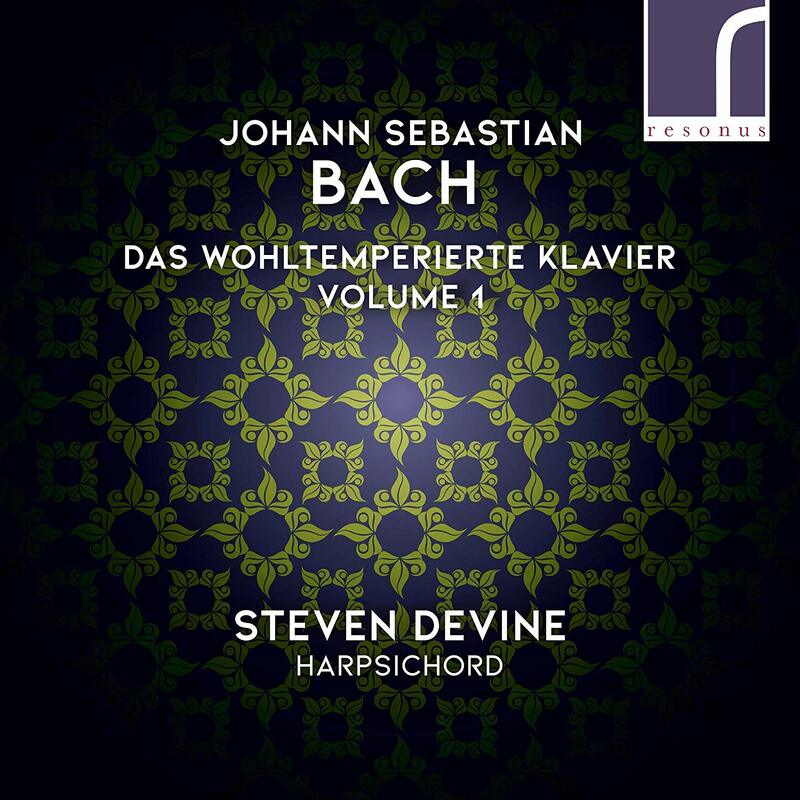 British harpsichordist Steven Devine has commenced his project to record both books by issuing Das wohltemperierte Klavier Volume 1 on Resonus Classics which comprises Book 1. Devine is using a double-manual harpsichord by Colin Booth from 2000 after a single-manual by Johann Christof Fleischer (Hamburg 1710). Having chosen one's instrument of course, then the next thing is the tuning. It needs to be a system which allows all the keys to be played, so not a meantone one, but the information about exactly what system Bach used is frustratingly imprecise. 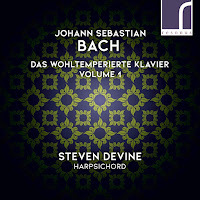 His son CPE Bach gives a description of a possible tuning system which makes all keys playable (quoted in Steven Devine's note), but as Devine says 'to the modern eye, this is impossibly vague'. 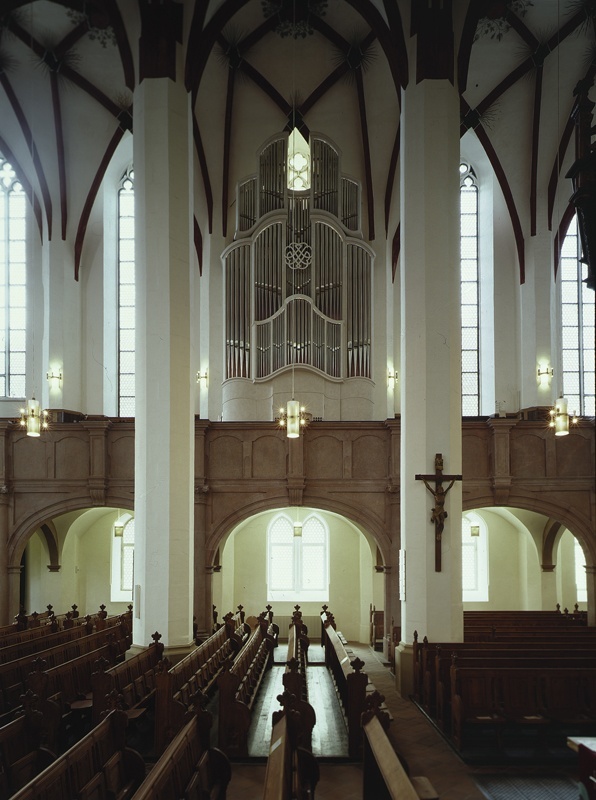 Devine opts for a version of Kirnberger III (first proposed by Johann Philipp Kirnberger in 1779). Why the worry, why not use the same system as the piano? Well, you could be surely we want to keep the sense the some keys, whilst playable, are more pungent than others. Devine's account of the music is similarly well-tempered, he does not go for extremes of tempos and brings poise and clarity to his playing. The harpsichord is beautifully captured, with a fine resonance and good core sound to the note and none of the pecking which can beset harpsichord recordings. He clearly revels in the various keys and allows them to colour his performances, and the result is engaging and engrossing. I certainly look forward to the second volume. 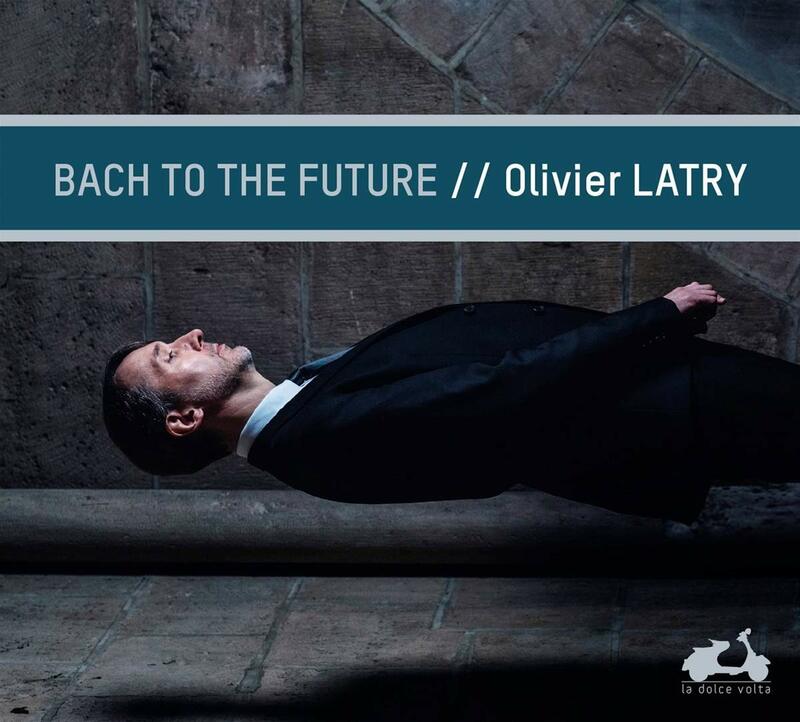 For Olivier Latry's disc Bach to the Future, a selection of Bach's organ music for La Dolce Volta, Latry uses the Cavaille-Coll instrument at Notre Dame de Paris which was inaugurated in 1868 (though there has been a continuous programme of work on the instrument since then so Cavaille-Coll's original is much changed). Effectively what we have are transcriptions, so different is the organ to those of Bach's day and in the CD booklet Latry talks about finding a new balance. As with any transcription, the power of the result is dependent on the sympathy the transcriber has for the original. So here Latry uses the full range of the organ, his version of the Toccata and Fugue in D minor is positively thrilling, yet with great respect for Bach's music so that the essential is always present. If Bach presented in rich colours and strong timbres, yet with a sense of the underlying structure, appeals then this disc is for you. Recorded 4-7 May 2018, St Mary's Church, Birdsall, North Yorkshire.